“Food security” refers to the ability of food systems to ensure that everyone has enough food to live a healthy life. To prevent food insecurity, we require reliable food systems at each stage of the food cycle: from food production and harvesting, during transport and distribution, at the shops we buy at and in the social settings wherever we consume food, and in the management of the resulting bio-waste outputs. 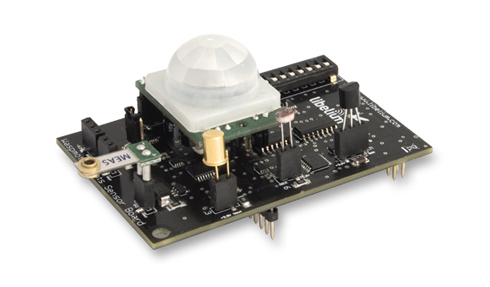 Libelium’s Waspmote sensors can be used to monitor and control the whole food cycle. Food insecurity continues to be a major development problem across the globe, undermining people’s health, productivity, and often their very survival. This problem usually affects to developing countries and it is specially severe in the Horn of Africa. 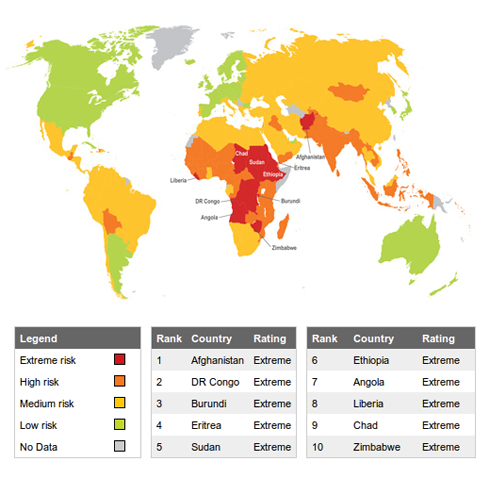 Figure 1 shows an index of food security risk, and it is based on the key elements of food security set out by the UN’s Food and Agriculture Organization (FAO). Reducing by half the number of people suffering from hunger by 2015 is a priority for the EU. Food security is a global and urgent challenge, prompting the European Commission to invest in a number of research funding streams as part of the current FP7 funding rounds. For the period 2007-2013, the EU food security policy is financed through several types of instruments such as European Development Fund, the Food Security Thematic Programme or the € 1 billion Food Facility. Across Europe, project applications are being encouraged to deepen the understanding of how to protect and enhance food sustainability. Use of Waspmote sensors can assist in strengthening the collective understanding of how to protect and manage food systems. Food production by traditional means is already incorporating new technologies. As an example, in Italy, residents can ‘rent’ a plot of land in a rural area and direct their crop cultivation from the Internet in the comfort of their own home! It allows them to share costs with the rest of the users. This is done by updating their Internet site which directs a rural farmer to plant and cultivate crops as requested by each individual crop ‘renter’. But Waspmote takes this innovative business model to a more practical – and less resource intensive – level by using sensor networks to maintain monitoring capacity of crop cultivation throughout the production cycle. By combining sensors such as humidity, temperature, and light, the risk of frost can be detected. Monitoring can ensure prevention of possible plant diseases or manage watering requirements based on soil humidity. This helps to control conditions in nurseries and to closely monitor high performance or delicate crops, such as vineyards or tropical fruit, where the slightest change in climate can affect the final outcome. All of this information can also help us to determine the optimum conditions for each crop, by comparing the figures obtained during the best harvests. 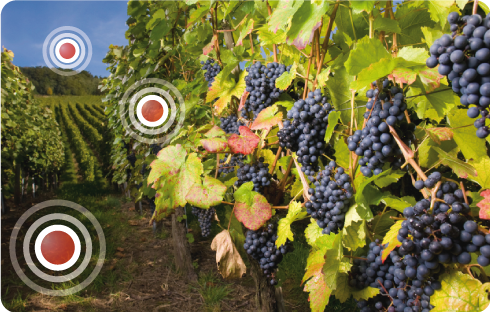 Given their ease of use and scalability, wireless sensor networks can also be used to monitor isolated areas of difficult access, where mushrooms and truffles grow for example. The Waspmote Agriculture Board allows monitoring of multiple environmental parameters involving a wide range of applications, from growing development analysis to weather observation. For this, it has been provided with sensors for air and soil temperature and humidity, solar visible radiation, wind speed and direction, rainfall, atmospheric pressure, leaf wetness and fruit or trunk diameter. The Waspmote Agriculture Board monitoring system can be used to reduce resource intensity and labour requirements on site during the food growth stage. Parameters for each crop can be defined in advance and crop cultivation systems automated based on sensor readings at crucial stages of the food production phase. For example, depending on soil humidity Waspmote can send a message (through the ZigBee network or by SMS) to automatically switch off watering or to change water supply, thus contributing towards efficient water management. For urban areas, sensors can assist community and market urban agriculture sites where there may be collective management of crops. The Waspmote Agriculture Board can assist collectives work together to maximise and protect crop cultivation and empower communities growing their own food in urban settings. Once ready for transportation, food may become damaged during transport and storage. 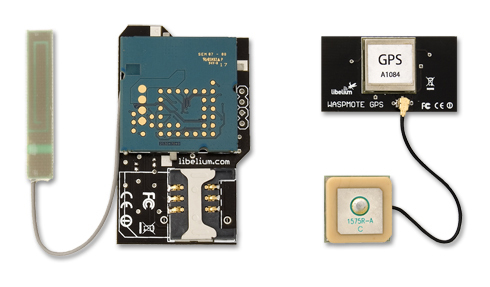 The technology integrated in Waspmote (GPS, sensors and clock) makes it possible to control in real time what conditions the merchandise is in, where and when. 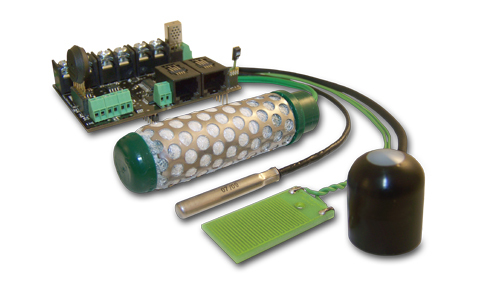 Waspmote can detect and store environmental samples during the product’s transport and know therefore whether it has been exposed to high temperatures, damp, or whether it has been contaminated during the journey, or whether the container was opened in an unauthorised fashion or even whether it has been dropped or suffered an impact. We can discover a wide range of things such as whether a frozen product’s cold chain has been broken. Using the GPS and GPRS/3G modules incorporated in Waspmote means food being transported can be located at all times, providing detailed information on its condition. This helps to improve product traceability, and to determine liability where applicable if it becomes spoiled during the logistics phase. Waspmote can operate as a smart label on merchandise containers. 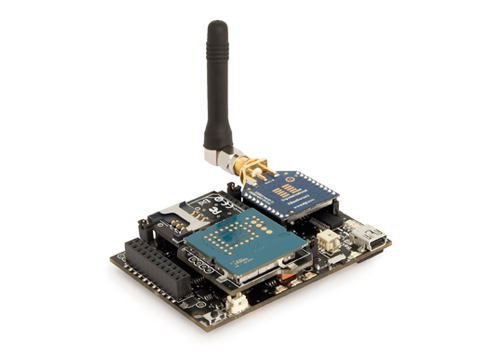 Thus, it can transmit through ZigBee in a wireless fashion product information, number of units, batches, etc. Waspmote RFID can be used to detect expired food or even to alert a client that a specific product contains food not suitable for him or her because of his or her allergies. Following industry strikes or changing patterns of waste disposal, after high temperature days and severe weather events, food wastes can be a source of disease and contamination. Waspmote sensors can monitor public disposal areas or high risk areas – such as lane-ways behind restaurants in high density urban areas – to ensure that contamination levels remain at safe levels. This monitoring can ensure that food waste disposal sources are not vectors for contagion or disease. Throughout the food sustainability cycle, Libelium’s technologies such as Waspmote and Meshlium can improve efficiencies, better inform consumers and reduce risks at each stage of the food cycle. From food production, to eating food and throwing out the garbage, Libelium’s technologies offer improvements for consumers to participate in the food cycle and for industry and civic authorities to enhance the use of increasingly limited resources and ensure food security for everyone.